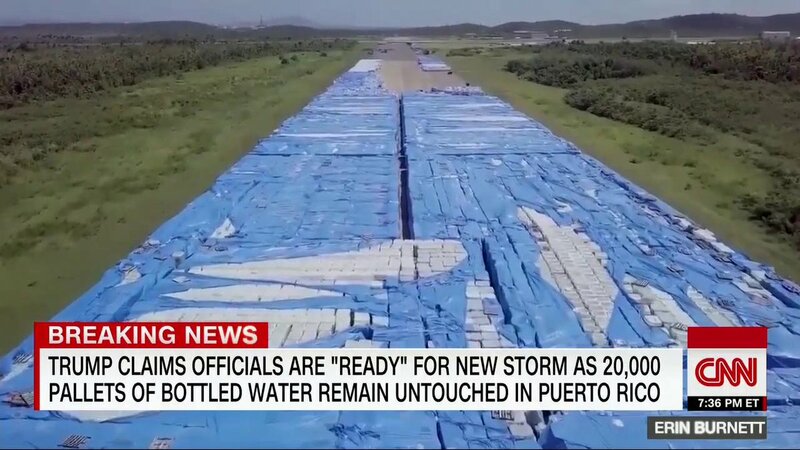 "A 20,000 pallet stockpile of bottled water stretches down an unused runway in Puerto Rico - emergency supplies brought to the island by FEMA, but never distributed, even as storm survivors collected spring water from the mountains for cooking and bathing https://t.co/lgUAkTfIOc https://t.co/RT2mHCpQGL"
What a total waste - there's no way that water is usable now. Nope. 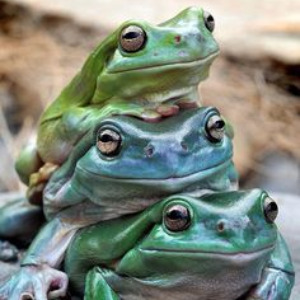 Not with all the pcbs or whatever they're called leeching from those plastic bottles. #HurricaneMaria made landfall on Puerto Rico one year ago today. Weeks after the storm, we reported on what life was like without electricity on the island. FBI agents raided San Juan's municipal building on Tuesday amid an investigation into purchasing practices conducted by city officials, including Mayor Carmen Yulin Cruz. Video posted on Twitter shows several uniformed FBI agents proceeding into the building Tuesday morning.